David has been working as a SQL Server database administrator for the past 19 years. He has worked extensively with all versions of SQL Server from 2000 to 2016. He spent the first 14 years working as a Department of Defense contractor with Northrop Grumman and Lockheed Martin. He worked on various contracts for US Joint Forces Command and the Department of the Army. He is currently employed by Ferguson Enterprises (the nation’s largest supplier of plumbing and HVAC equipment) in Newport News. His primary focus has been on making the Relational engine “go faster” when the end users complain that “the database is slow.” David has been an active member of PASS since 2005 and help revive the Hampton Roads SQL Server Users Group (HRSSUG) as a member of the leadership team in 2014. He regularly attends SQL Saturdays and any other SQL Server training events whenever possible. In his off time David enjoys drawing, golf and reading science fiction. SQL Server DBAs are busy! Whether you work as part of a team for a large organization or are the “lone DBA” in a SMB, time and money to train on new technologies is difficult, if not darn near impossible, to come by. 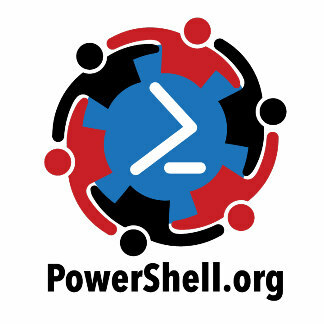 As SQL Server DBAs, we’ve been hearing about the need to learn PowerShell for a number of years. It’s part of Microsoft’s Common Engineering Criteria (all server product functionality, even in the GUI, behind the scenes, must be able to be done using PowerShell.) Several prominent members of the SQL Server community have been evangelizing the product for years. We’ve all heard the reasons, but I never found that one compelling, “A Ha” reason to learn this new “scripting language” (Hint: it’s more than a scripting language!) …. until now! A few years ago, a talented DBA (Crissy Lemaire, @cl) was assigned the task of migrating many SQL Servers supporting SharePoint. She knew there had to be a better way than just manually generating all the T-SQL scripts and so was the genesis of the PowerShell DBATools module. This open source module is being built by a dedicated group of PowerShell and SQL Server folks, specifically to make the job of SQL Server database administration easier. This presentation is designed to give a brief overview of the tools and demonstrate several of the commands that changed this “GUI Guy” into a newbie, “wanna-be” PowerShell aficionado.